Lokelani is doing well and is getting the love and care she needs at her foster home. Thank you everyone for your support and well-wishes! Lokelani needs life-saving surgery and donations are URGENTLY needed! Please help with any donation big or small. Everything helps. Hi! My name is Lokelani, which means a "Heavenly Rose" in Hawaiian. 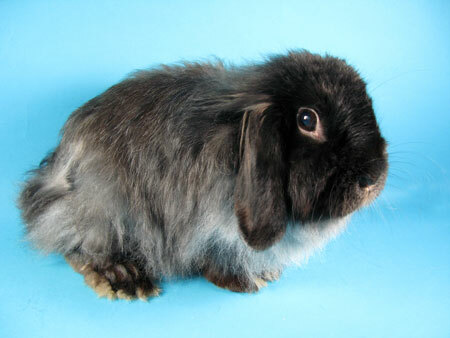 I am a beautiful smokey pearl gray, spayed fuzzy lop girl. I'm sweet, happy and overall simply a really lovely bunny. I am looking for a home with someone who brush me every day to keep my fur silky, smooth and tangle free. Yes, I'm a high -maintenance girl, but I'm worth the effort. If you are patient, good with bunny handling and grooming and appreciate the special needs and beauty of a longhaired rabbit like me, we will be a perfect match.